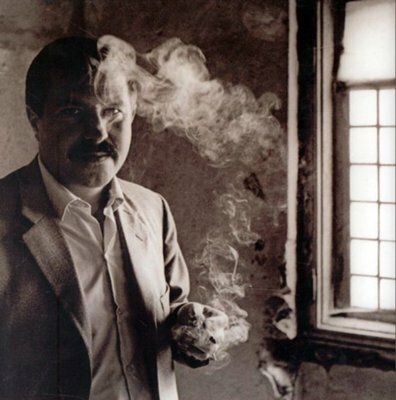 I was standing in the library parking lot when I heard the news, that Gunter Grass had written a poem about Israel, a poem people were saying was anti-Semitic. It’s funny, because by coincidence, I was there to pick up a book to read over Passover, Crabwalk, by Gunter Grass. Without going into the library, I got back in the car and went back home. Who am I? I’m nobody. Not an academic and not a politician, just a writer at the start of her career, a writer whose parents are Holocaust survivors, a writer who turns those stories into fiction, a writer who finds inspiration and solace in the work of the great Gunter Grass, and in knowing that some Germans were sorry, terribly sorry, for what they’d done to my family, or rather, to the tattered shreds of what was left of my family after the war. The Tin Drum, Dog Years, and Cat and Mouse are among the most powerful books I’ve ever read. My copy of Peeling the Onion makes its home on top of a stack of my works-in-progress, on the cover a picture of Mr. Grass smiling craftily at me from behind a haze of cigarette smoke. As a tribute, I’ve even based a fictional character on him; in my story The Messiah, a young SS private, ordered to execute a group of Jewish children, drops his gun and runs away. So, I read the poem. Did he use the wrong words? Did he choose incendiary images? Does any of this, in any way, alter the fact that The Tin Drum stands as one of the greatest anti-war novels of all time, with stirring, voluptuous verse that wantonly crosses the borders of poetry, cinema, history and myth, with savage humor, searing images and soaring prose? So, to all of us out there in the world who are maybe a little heartsick over all this sturm und drang, here is my suggestion. Forget the poem. Pull The Tin Drum off of your bookshelf. Dust it off. And read it again. « You can’t name a cereal Magic Max’s Fruity Magic Loops. You just can’t. I’ve had Gunter Grass on my shelf for years and STILL haven’t read him. Your insightful remarks have encouraged me to finally pull him down and dust him off and get to know the chap. Thanks so much, Helen! I’m glad. The poem was a mistake. I hate to think that he’ll be defined by it. We need to seriously think when we throw around words like anti-Semitic or anti-anything. When you label anyone who disagrees with, for example, Israel as anti-Semitic you take away the true power of the word. Sorry for the delayed response, Man of la Book, my filter thought your comment was spam–I just saw it now. Thanks for your thoughtful words. You’re absolutely right. Tin Drum is a fabulous book! I hadn’t heard about the controversy, so thanks for making me aware of it, and for your intelligent response. The Tin Drum was a revelation. The way he used words opened up worlds for me. Thanks for your kind words, Andrew.